This work proposed a procedure based on combining the advantages of ultrasonic extraction and extraction induced by emulsion breaking techniques to enhance the extraction efficiency of metals (Fe, Cu, Cr, Ni and Pb) from oil samples. In the first part, extraction induced by emulsion breaking used to analyse composition and contaminants of lubricating oils. It is found that differences and diversities in oil samples leads to difficulty in separation of the aqueous phase from oil, which gives low metals recovery. In the second part, the oil samples were analyzed using the combination procedure, where all extraction phases were completely separated. A circulation bath was used as separation medium, which provided a clearer aqueous part. The oil phase is completely separated from the aqueous phase and two phases are stable for hours without any interference between them. 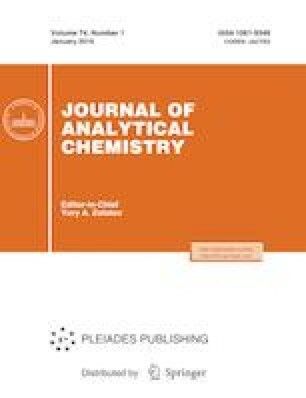 In comparison with previous works that did not collect more than 75%, the proposed method collects almost 95% of the aqueous phase for further inductively coupled plasma mass spectrometry analysis. This project was supported by King Saud University, Deanship of Scientific Research, College of Science, Research Center, Riyadh, KSA.